Are you ready to take your riding to a whole new level? 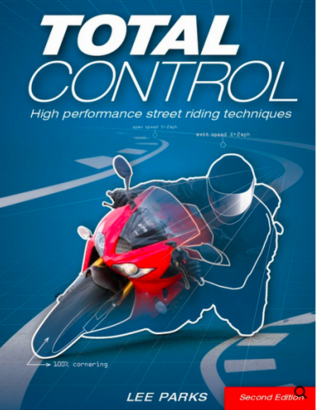 TOTAL CONTROL Advanced Riding Clinic (ARC) is an intensive course that teaches High Performance Street Riding Techniques based on the best selling book TOTAL CONTROL written was established by motorcycle industry expert Lee Parks. 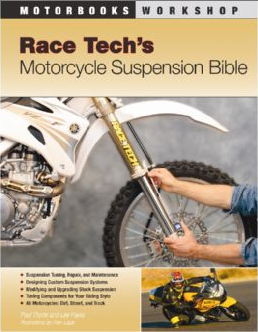 This advanced riding clinic has been taught throughout the US since 1999 and is a proven system that has been creating proficient street and track riders for over 12 years and is now available in southern Ontario through SHARP RIDER Motorcycle Training. Do you ever make any of the following mistakes when you corner? improve your overall riding experience. A motorcycle is designed to work perfectly without you on it. Unfortunately a lot of accidents are caused by rider error – they either panicked, “freaked out” or target fixated. TOTAL CONTROL ARC is the only program that combines its physical techniques with its exclusive mental training. It is here that riders learn to overcome fear on a motorcycle, how to maintain optimum concentration as well as have the right attitude to make proper decisions before it’s too late. The range portion of the training is done in a large parking lot or skidpad where each of the skills are individually broken down and practiced. Working on only one skill at a time is the fastest way to make consistent riding improvements. The beauty of doing it this way is that the student is never asked to make a huge “leap of faith” in any one area. Each skill is built up in small two-mph increments until the desired result is achieved. This allows for high confidence and never gets too scary. In fact, cornering speeds never go above 25 mph. While this may seem slow, in a tight enough corner, 25 is very, very fast. Combined with a strategic “building block” formula for integrating the individual skills into a complete riding package, the Total Control ARC enables riders to learn faster and easier than ever before. Equally important, all the Total Control ARC skills are taught with their direct applications for street riding. After all, knowing how to do something is of little value if you don’t understand when and where to use it.